Our circadian rhythm acts as an internal clock helping us sleep, wake up and control our level of energy throughout the day. Light greatly influences our circadian rhythm which is the backbone of a new product called Circadia that helps reset that internal mechanism. The Circadia system comes with a contactless sleep monitor, a portable therapy light and an app that creates personalized light therapy based on your sleep. It aims to help you fall asleep faster, wake up feeling refreshed, and boost your mood, energy and overall productivity throughout the day. What’s more, the sleep monitor is even able to track your heart-rate, respiration and body movement. The system uses the data from your sleep to model your body’s clock, predicting your concentration and performance throughout the day. Integrated with the Sleep Tracker is a wakeup light that is available for purchase that is triggered 15-30 minutes before your ideal wake up time for a natural wake up. 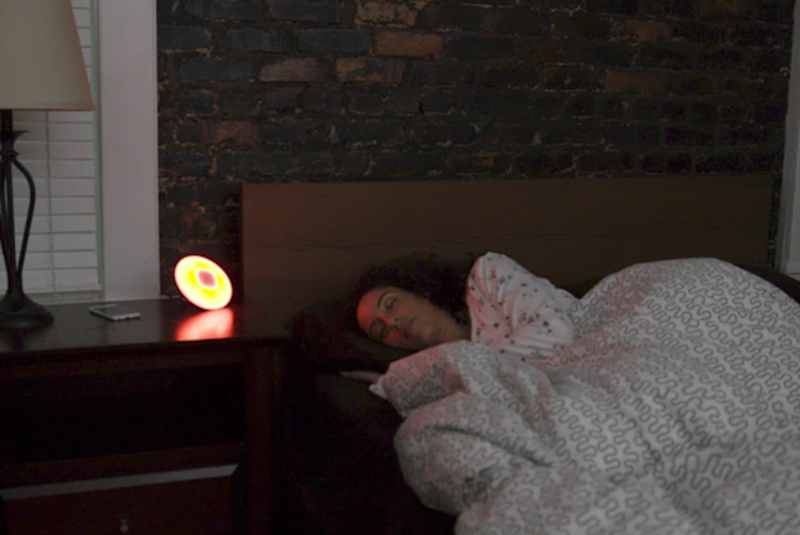 The Circadia Smart Lamp uses data from the Sleep Tracker to personalize the light therapy to boost your energy throughout the day and calm you into the evening so you’re ready to sleep. That’s not all—the lamp also helps beat jet lag by adjusting your body clock before, during and after your travel.